Our Comfort Specialists Are Here To Help! 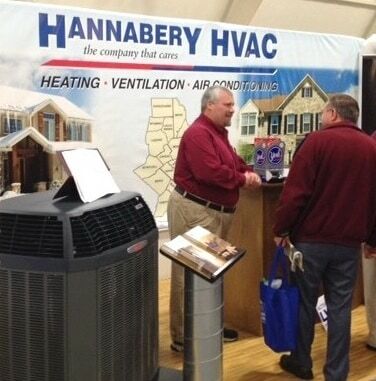 Whether you are looking to replace an old heating or air conditioning system at an affordable price or for the latest in cutting-edge technology for your home or office, Hannabery HVAC has the resources to meet your needs. We offer a quick turn-around, effective and efficient design solutions, professional service, and all at competitive rates. Feel free to speak with one of our Comfort Specialists. They will be happy to answer any of your questions. Using computer-aided, heat load calculations, our Comfort Specialists can determine your exact heating, cooling, or ventilation needs. And they can help you choose the perfect heating and air conditioning system for your home or office. Just fill-out our Online Estimate Request Form and a Comfort Specialist will contact you ASAP. For customers in our service area only! Besides offering Free In-Home Estimates, our Comfort Specialists will come out to your home or business to discuss all of your options; including types of systems, brand names, accessories, warranties, models and efficiencies. We will even let you know about any rebates, special offers, or money-saving coupons that may be available to you! And we offer Special HVAC Financing that's quick, safe and simple! And if you are interested in saving money on installation costs, and can do some of the work yourself, one of our Comfort Specialists can discuss our own unique, "Do-it-Yourself Program" with you as well. 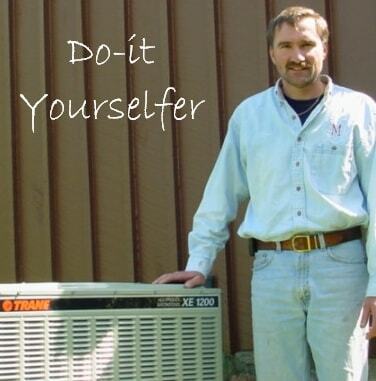 Just ask Dave Tori of Holicong, PA. We helped him install his own central Air Conditioning system.